← How to: Make a Quilted Notions Purse! WIP Wednesday: Smells Like Sheep! It’s one of those questions that seems to reveal something deeper about a person and probably isn’t best asked of strangers, but is perfectly acceptable over a cup of tea at a knit cafe: Do you like the smell of sheep? There’s been a lot of wooly purchases among Copenhagen Yarn Lovers group members recently. At our last Wooly Wanderings yarn crawl, there was a great deal on huge skeins of natural lambswool- and one of the group bought a whole kilometer’s worth for dyeing, which magically still managed to fit into a shopping bag. It was pungent stuff. 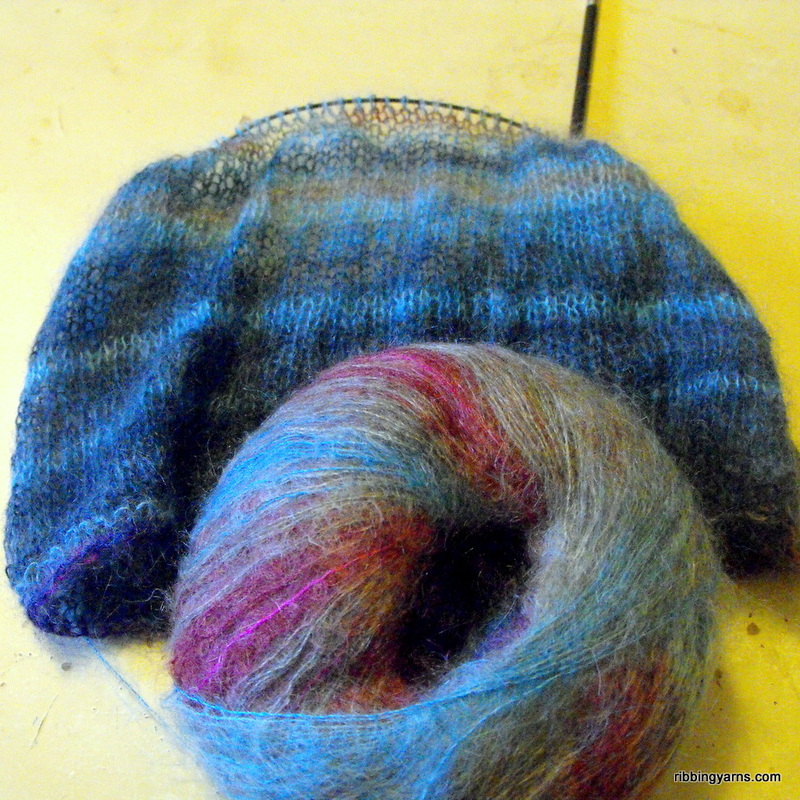 I was reminded of all this (including a pros and cons discussion of sheepy smelling knits on a date- con: smelling like a sheep, pro: useful bad date repellant) – as I started my new spinning project this week. I’m SO excited to be spinning something for myself again, and I’ve been yearning to spin with something properly sheepy in the depths of winter. 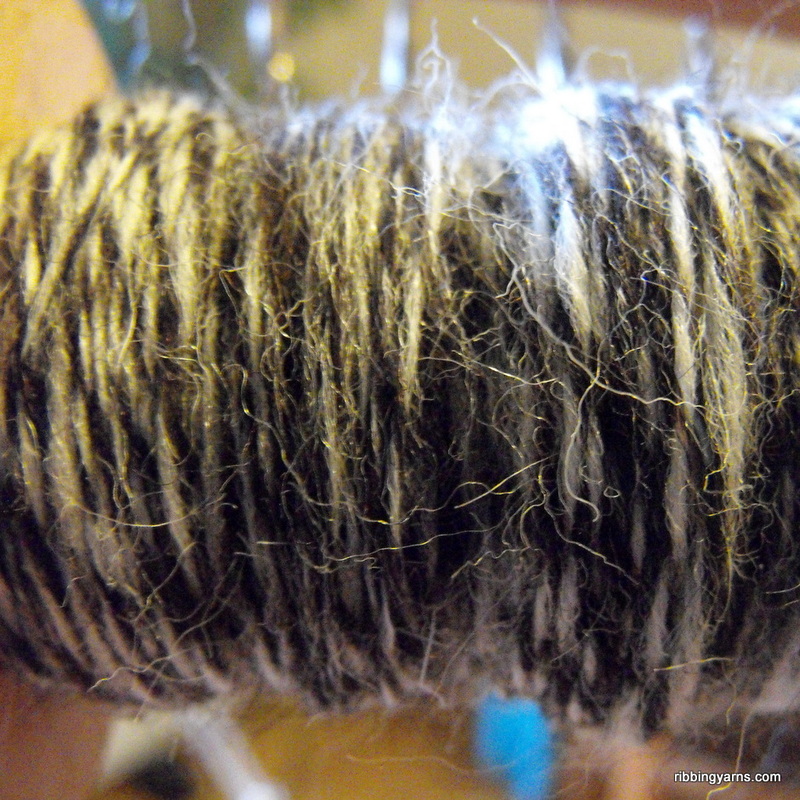 So I’ve started spinning yarn for an as-yet undecided project, with natural British Jacob sheep fiber. I love the natural shades and am blending white with dark brown, drafting and spinning the two shades together. And it smells properly like sheep, which from my new(ish) home in Copenhagen takes me on an evocative memory journey back to Northern England: muddy boots, steaming cups of tea, shifting light on the Pennines, heather and bilberries…see what I mean? Oh yes, and there are socks, of course. I’d finished my watermelon socks and felt a bit morose the other day, so I cast on a pair in an Opal colourway that reminds me of wild flowers and summer as well as pumpkins. The colours are luminous and wonderful. I felt happier in no time. 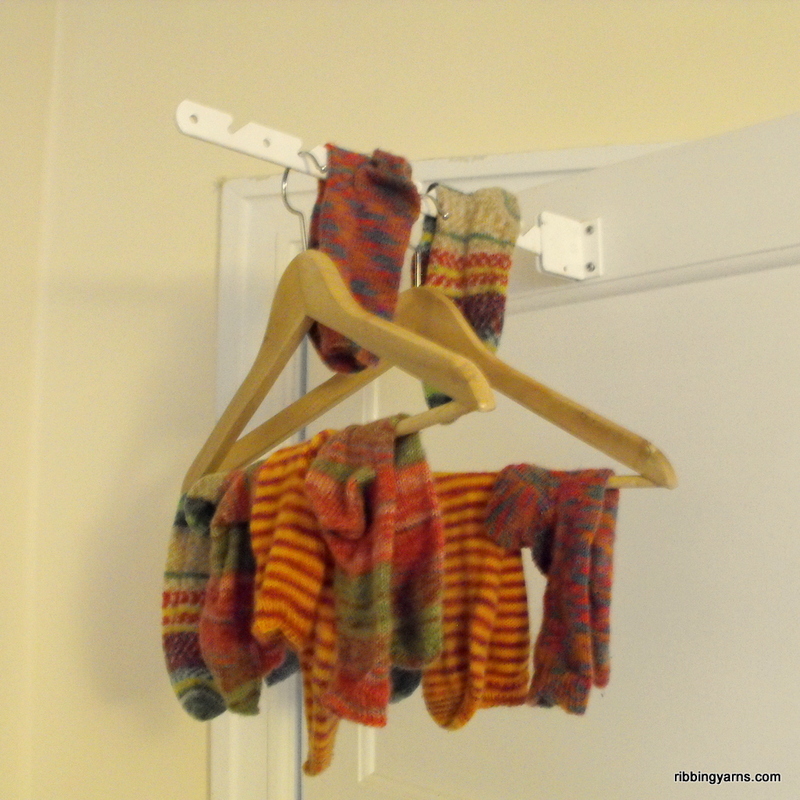 The sock drawer is ever-growing- and will continue to grow- but I’m going to have to involve another hanger in the sock wash soon. And then there’s the COWL OF BEAUTY I’ve been working on a little bit this week- It’s Rowan’s Kidsilk Haze Stripe, and it’s so soft and glorious. It’s a little slow going for my impatient mood at the moment but will be well worth it for the snuggle value alone. 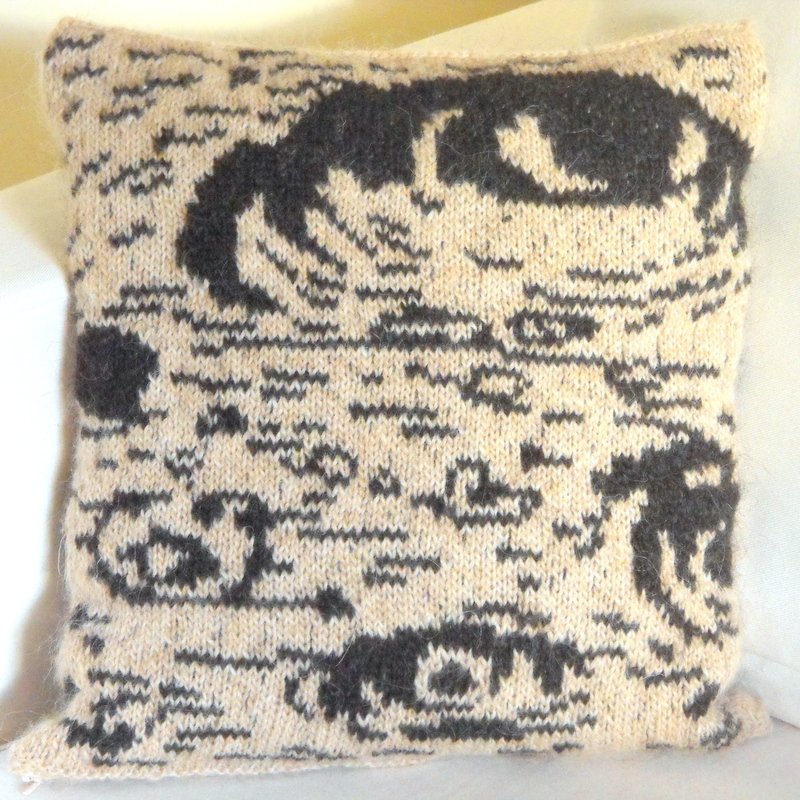 The pattern is Cloud Cowl by Milja Uimonen on Ravelry. This entry was posted in Knitting, Spinning, WIP Wednesday and tagged Copenhagen, Copenhagen Yarn Lovers, Craft, Danmark, Expat, Garn, Handspun, Håndarbejde, Jacobs Sheep, Knit Cafe, Knitted Socks, Knitting, natural wool, Spinning, Strik, UK, WIP Wednesday, Wool, Yarn. Bookmark the permalink. 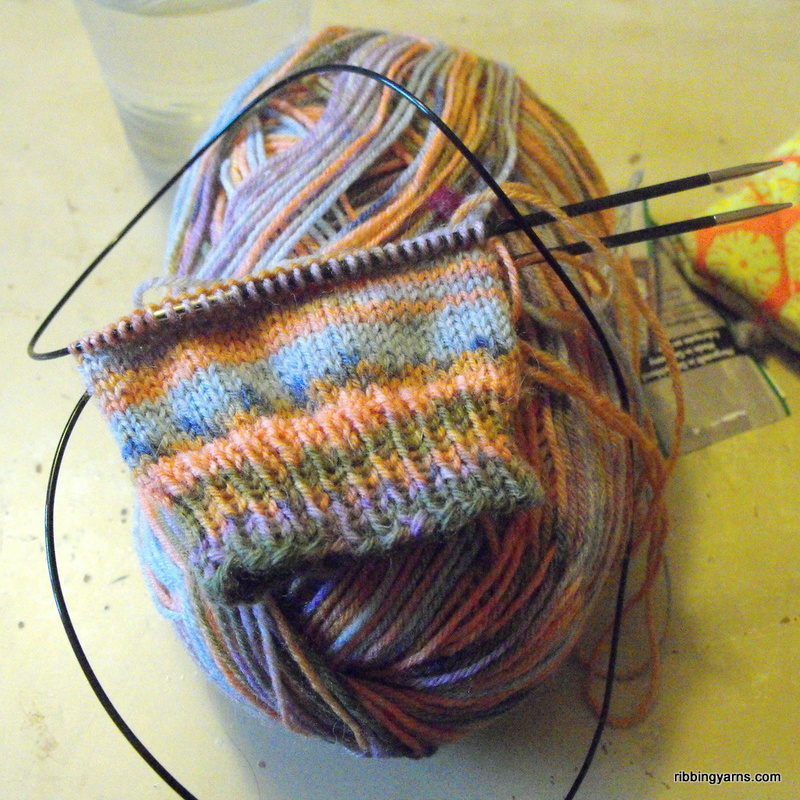 2 Responses to WIP Wednesday: Smells Like Sheep! I smiled when I saw this post. My dining room smells of sheep right now due to the 1kg bump of roving I am weaving with: http://wraptweaving.com/2014/11/22/weaving-with-wool-roving/ . I love it…my kids aren’t so impressed! !